The first printings of the 10c through 50c that were released in 1972 show distinct vertical ribbing on the surface, as shown in the picture. It is thought that the ribbed coating was experimental and intended to see whether or not is was required in order for the ink to properly adhere. 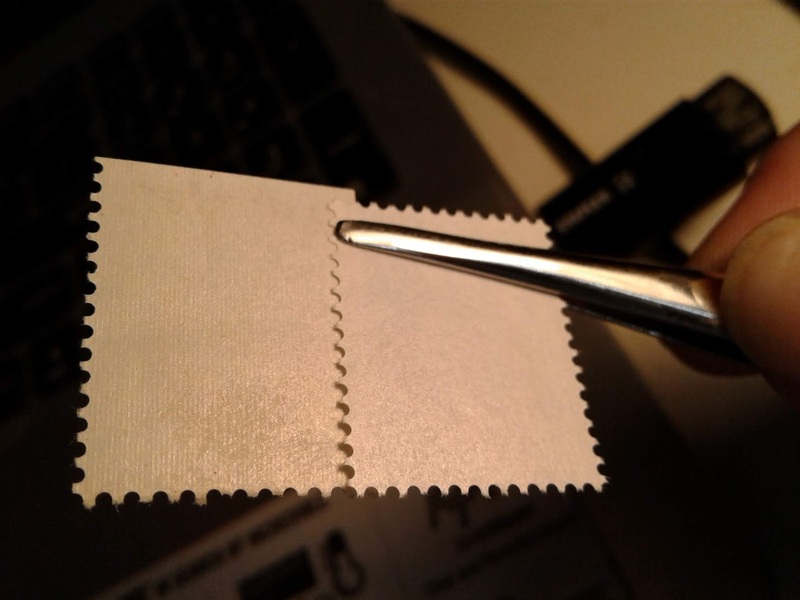 The stamp on the bottom shows the smooth chalk surfacing that replaced the ribbed coating. This replacement was transitional, with a third type of coating that was less even and which shows very fine horizontal striations across the design. 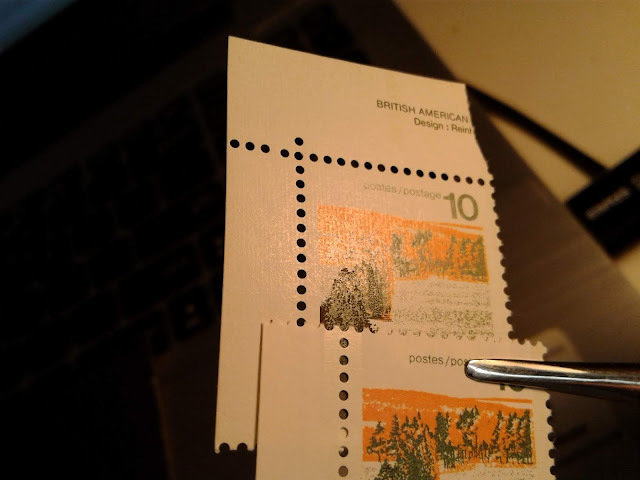 This type is generally only found on the very last type 1 printings made of each stamp, through I have also seen it on the very first printings of the perf. 12.5 x 12 $1 Vancouver. The specialized catalogues did not use to list these types, however, in recent years they have started listing them as collectors become aware of their significance. If you look at some of the commemorative issues printed by BABN between 1972 and 1974 you can see the same differences in the chalk surfacing. 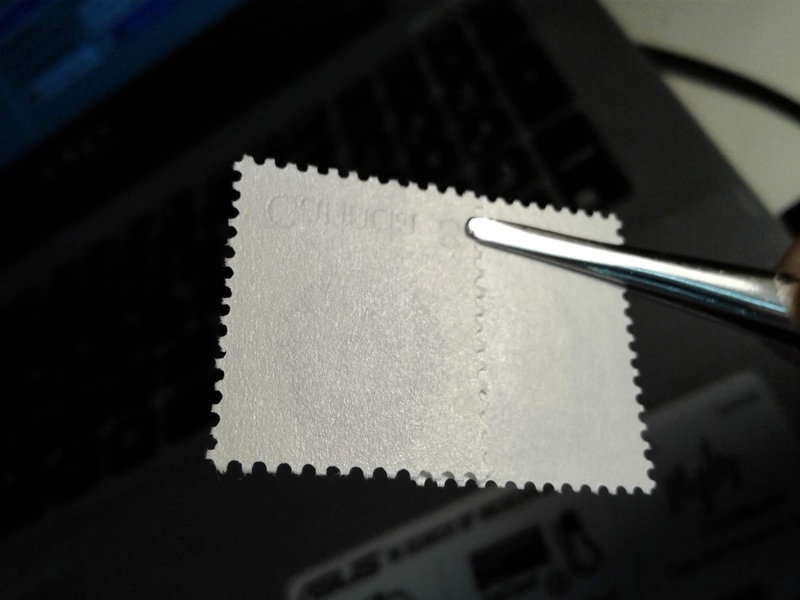 Generally, the BABN gum is thicker and smoother, whereas the CBN gum is thinner and shows the texture of the wire side of the paper more readily. This gum is not listed on this issue in Unitrade, but it is listed on the next definitive issue - the 1977-82 Floral issue. This suggests that it comes from the very last printings made in 1977 or 1978. 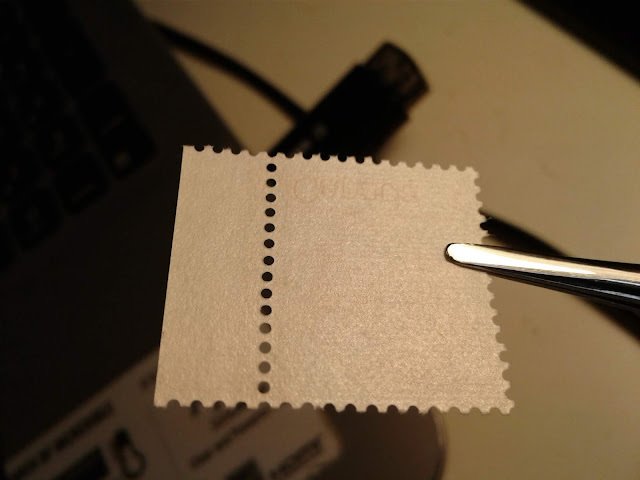 I have only found it on booklet stamps. The full post on my website gives a little more detail. This leaves the largest topic of interest, which is the paper. 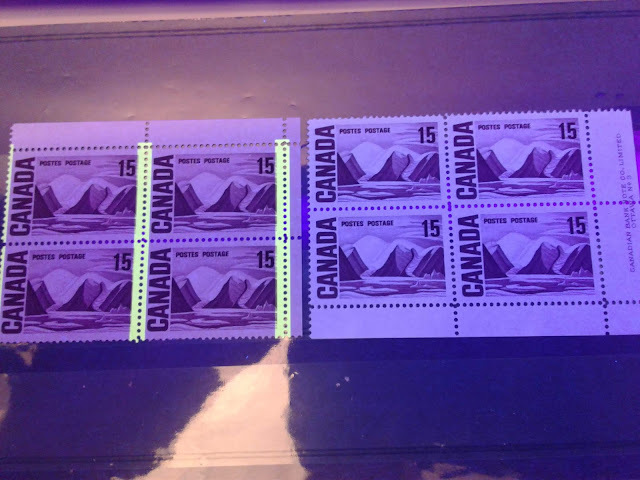 Next week I will start looking at the thickness, texture and weave direction of the papers, then, in the following weeks I will discuss the fluorescence levels found on the papers.